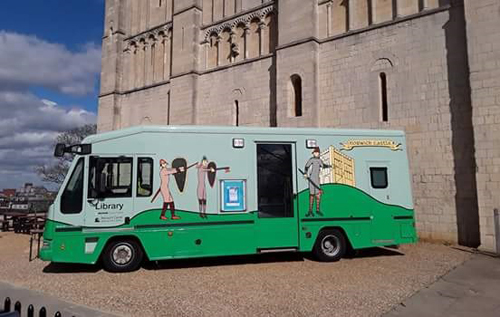 The mobile libraries are taking part in Norfolk’s Great Big Read until 23 April. Norfolk libraries are looking to inspire new and current readers to either begin or continue their reading journey. Introduce a friend to the mobile library and you can both be entered into a free prize draw. CEN540: Alderford, Booton and Swannington, Friday, four weekly – next visiting 13 April.